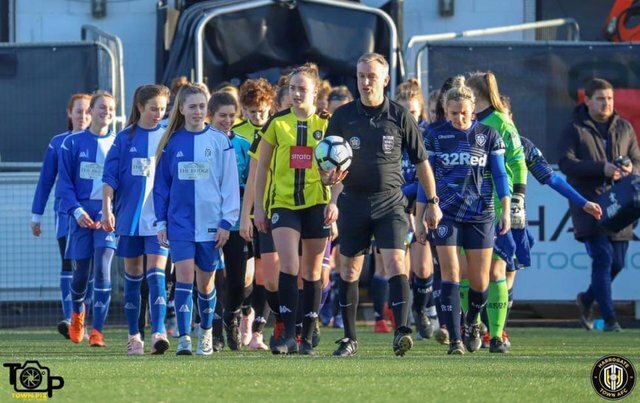 U14s Girls led out the Harrogate Town Ladies team onto the pitch at the CNG Stadium ahead of their County Cup Quarter Final match with Leeds United Ladies Reserves. The previous weekend our girls had clinched their place in the Cup Semi Final with a win at Brayton Belles. This was obviously a good omen for the Harrogate Ladies, who followed our example, beating Leeds 4-1 to progress to the Semi Final. We wish them all the best.